It's probably pretty obvious that we're big fans of all things tie dye, so it shouldn't come as a surprise that we think our furry friends should be able to enjoy it too! 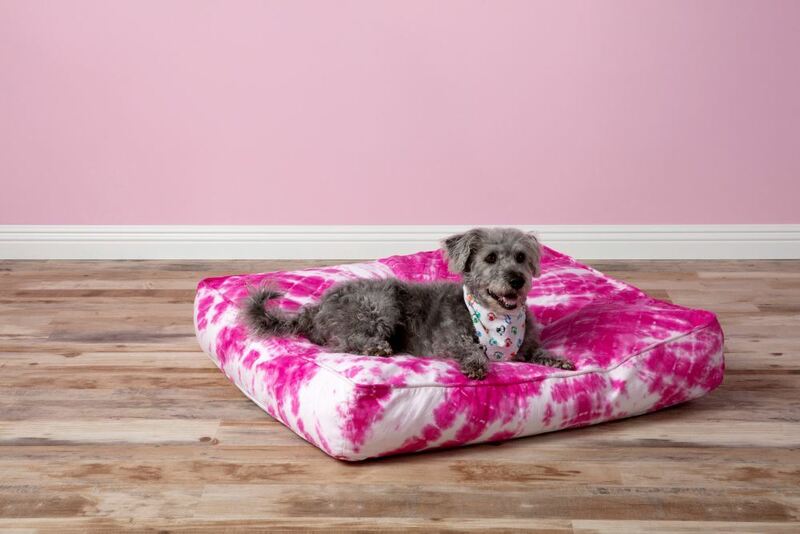 We decided to try our hand at tie dyeing a dog bed (because how cute will a cushy, colorful tie-dye bed look in any room in the house?! ), but you can also tie dye pet shirts, scarves and other accessories as long as they're cotton. Think it's hard to tie dye a pet bed? Spoiler alert: it's actually super easy with our One-Step Tie Dye! 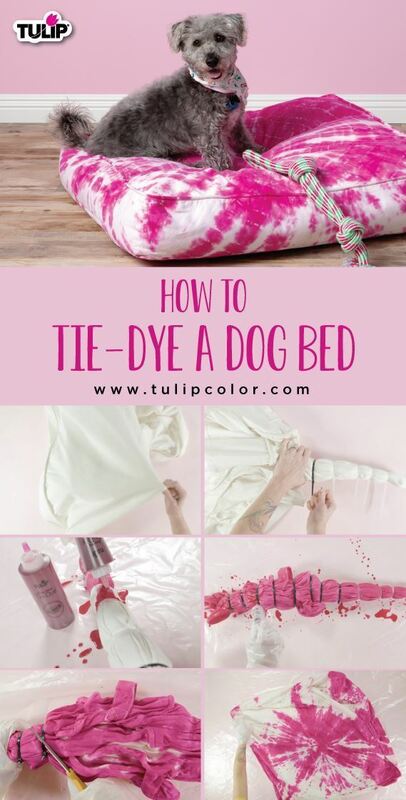 Skip the buckets and the stress and create a colorful tie-dye pet bed in no time. We'll show you how! First you'll need to select your color palette. 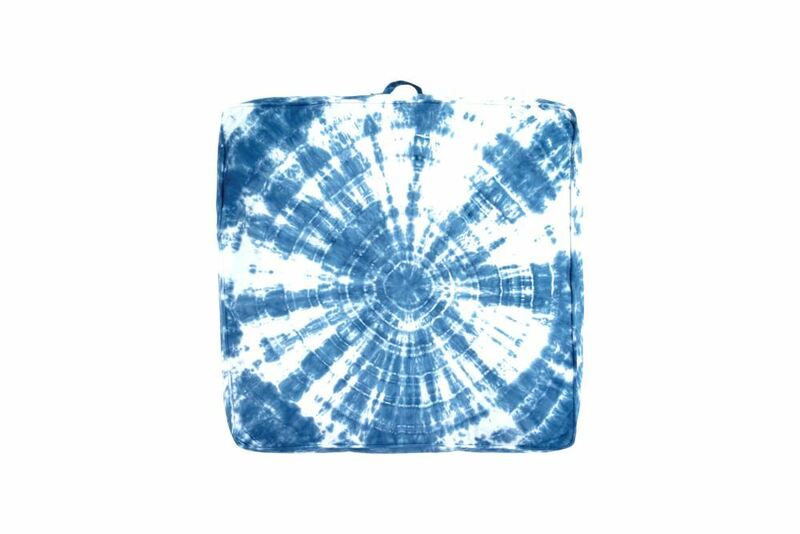 We chose to use one color, but you can definitely have fun with it and use multiple tie dye colors. Just make sure they coordinate so that if the dyes blend on the fabric, they turn a nice shade instead of muddy brown (think in terms of red + blue = purple, etc.). You can go with your favorite tie-dye kit or choose several 1-color options. 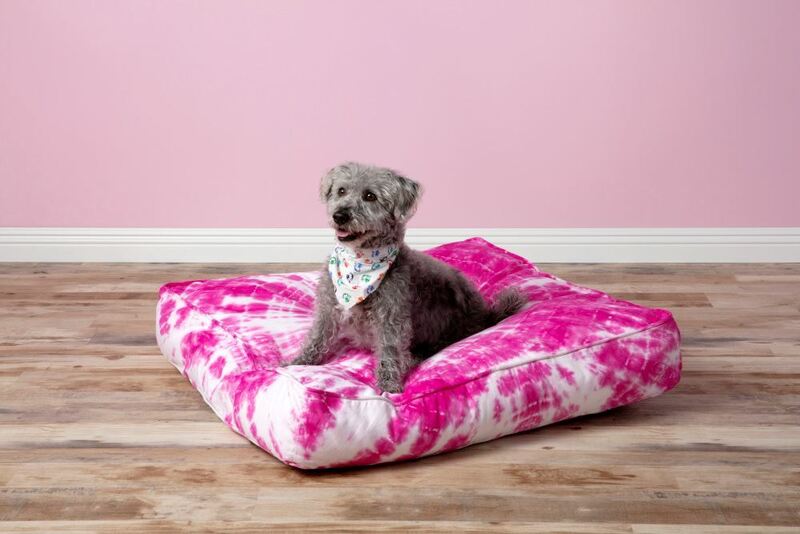 We chose to do the bullseye tie-dye technique for our dog bed, but you can choose just about any tie-dye technique you'd like! The beauty of tie dye is that there really is no wrong way to do it. 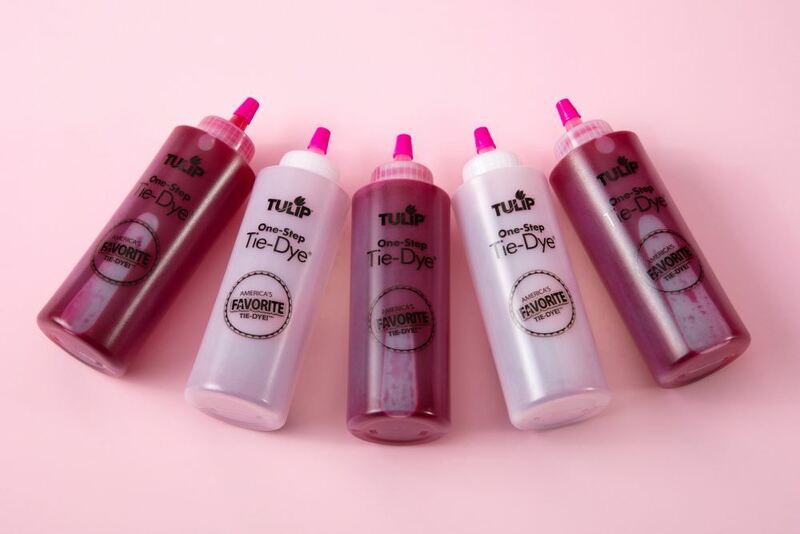 Just make sure you follow the instructions that come in your Tulip Tie-Dye Kit for dyeing and laundering. P.S. If you're new to tie dye, here are some helpful basics on how to tie dye that you might find super helpful. Seriously, how cute is Rosco on his new tie-dye dog bed?! 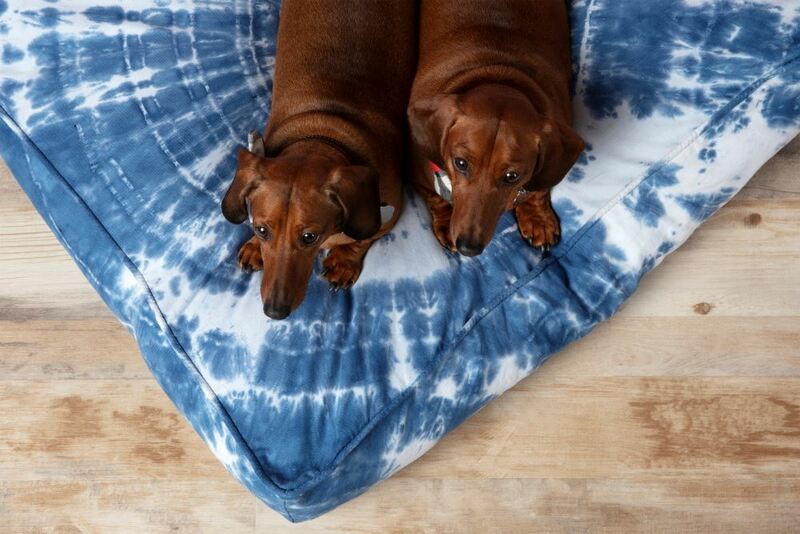 Jenz and Otto are living the tie-dye dream too! This makes us want our own tie-dye bedding now!